Follow your curated Pinterest board to shop the look below and find ideas! 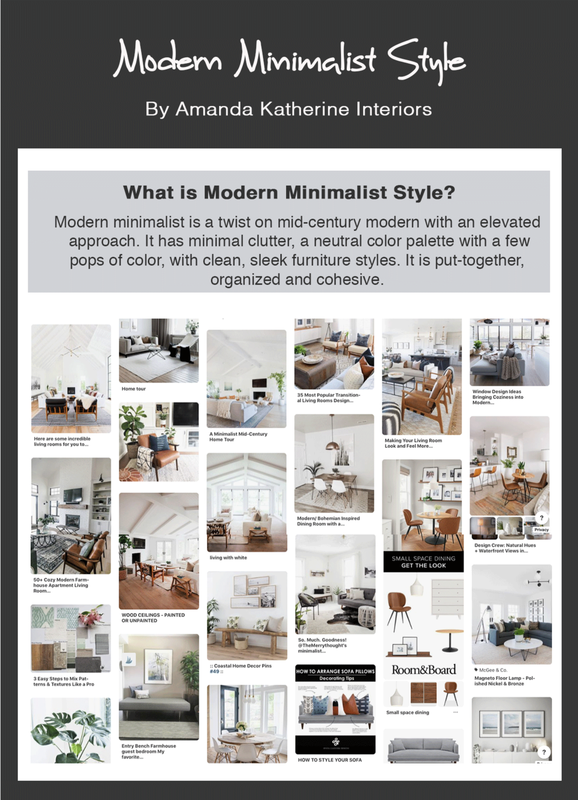 What is Modern Minimalist style? You love a clean, organized space without a lot of contrast. You prefer light colors that feel airy and natural wood tones. Your house has mid-century modern elements and you like the sleek furniture that isn’t too oversized or bulky. A clutter-free space helps you feel calm and relaxed and you enjoy the simple things. Ready to design your dream space?! This is where I come in, I've help families across the country design their home within their budget and entirely online. LET'S TALK ABOUT HOW I CAN HELP YOU MAKE YOUR HOUSE LOOK LIKE YOUR PINTEREST BOARD!